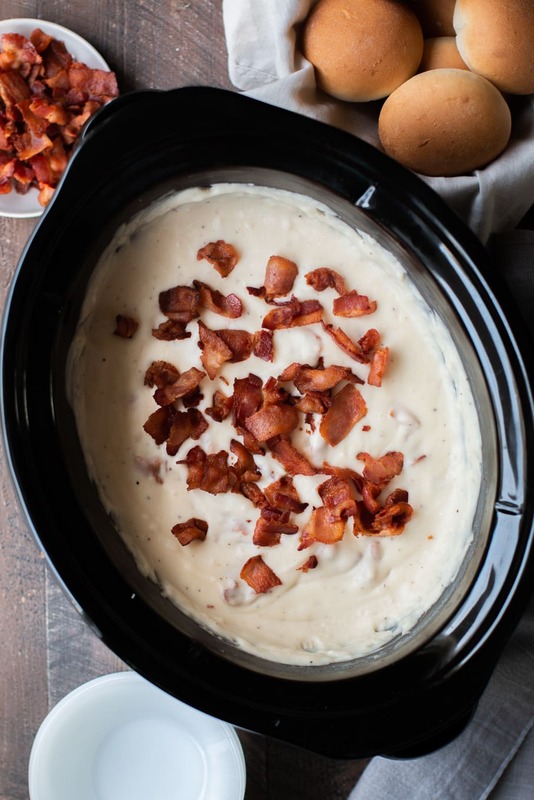 Slow Cooker Potato Bacon Soup is the kind of soup I dream about. Very thick and creamy. 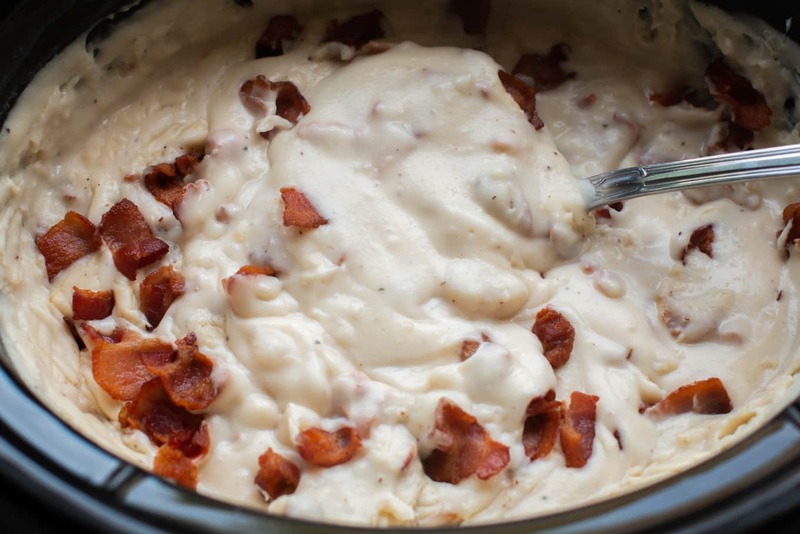 I have a favorite baked potato soup recipe I make all the time for large groups of people. 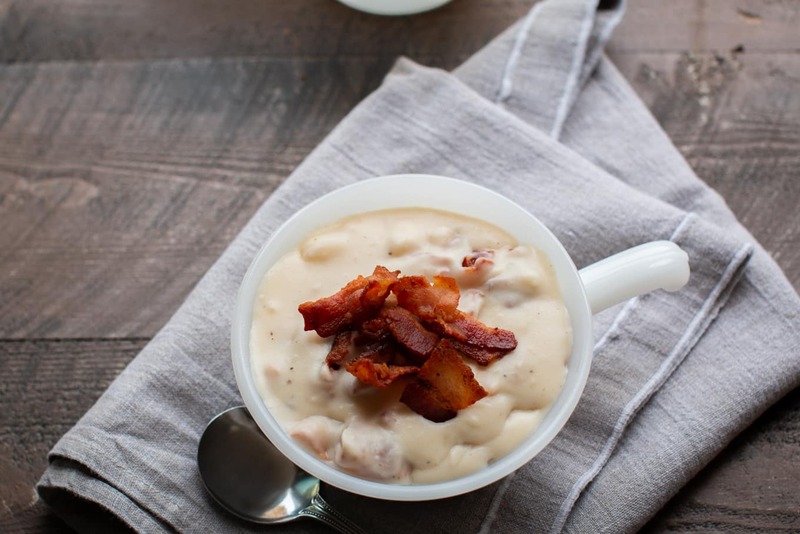 Over the years I’ve scaled down that recipe and instead of using the bacon as a topping, I add it all into the soup. That’s how this reicpe was born. I make this soup a few times a month for just me and my husband. 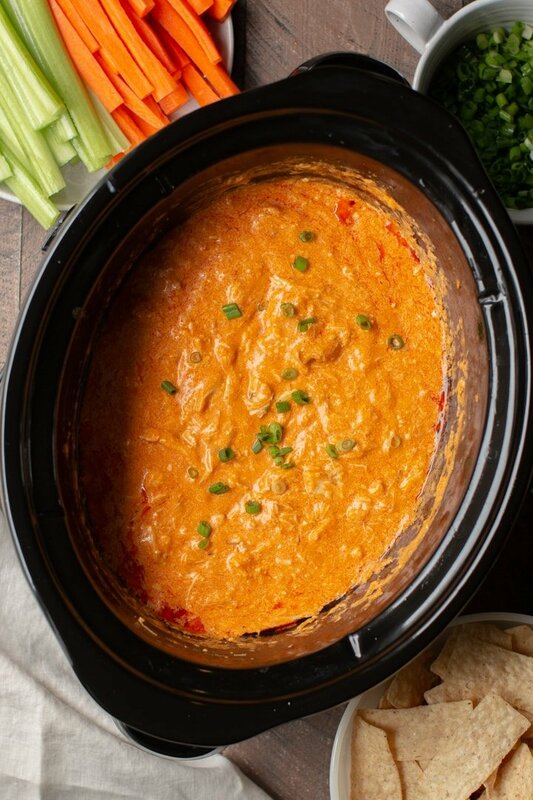 It’s such a good easy recipe that I had to get it on the blog and share it with you. 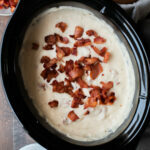 I hope you enjoy this recipe I have another great soup recipe coming on Friday! 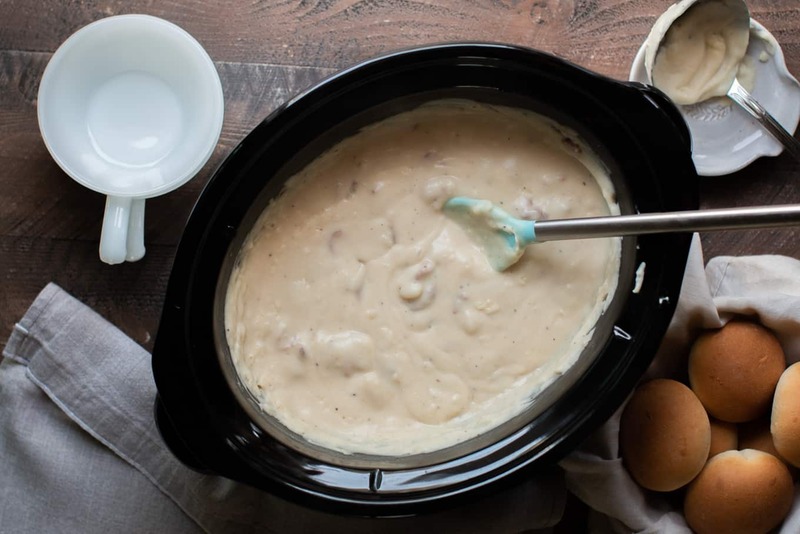 Add the diced and peeled potatoes to the slow cooker. Pour over the chicken broth, add the garlic powder and stir. Cover and cook on high for 5 hours or for low for 9. When the cooking time is up add the cream cheese to the potatoes and broth. Blend the soup up with an emersion blender or you can put the soup into a blender in batches. Or you can even mash it with a potatoes masher then stir. I like to leave a few of the potato chunks, but it's fine to blend it up completely. Stir in the pepper and the cooked bacon. Serve and enjoy! The soup will start to thicken if the lid is kept off too long. Add water or more broth if needed.